The description for this film doesn’t seem to fit the trailer, and I’m OK with that. Apparently it’s post-apocalyptic, Shia is a solider who’s looking for his son, along with him are his buddy & a girl who survived the end times. 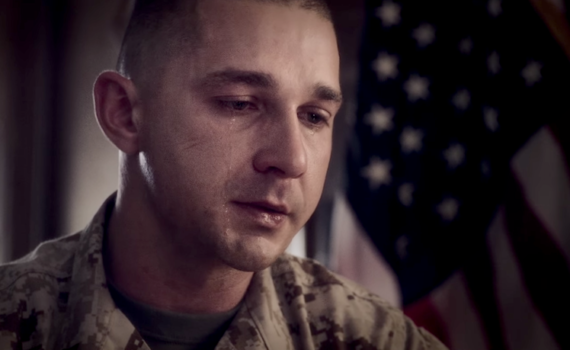 But none of that is in the trailer, it mostly looks like a PTSD movie with war stories & regret. I just have to trust that those two concepts/stories marry at some point in the film, and I think LeBeouf has what it takes to make magic happen. The kid is a tremendous actor, I won’t hear otherwise, and his odd antics off-camera don’t really detract from that.